Who invented Monopoly? The name of the person credited with inventing Monopoly is Charles Darrow (1889 - 1967). Charles Darrow is not only famous as the American inventor of Monopoly but also as a lawyer and businessman. When was Monopoly invented? Charles Darrow invented Monopoly in 1935, during the Interwar period of invention (1918 - 1939) and received U.S. Patent 2,026,082 for his real estate game and board game apparatus which was assigned to Parker Brothers. The game of Monopoly was then marketed by the Parker Brothers, a toy and game manufacturer. Definition of Monopoly: Monopoly is defined as a board game in which between two to six players players throw dice to engage in simulated property and financial dealings using imitation money. The winner is the player who has the acquired the most wealth through the purchase, rental and trading of real estate. Fact 1: Who invented Monopoly? The game of Monopoly was invented by Charles Darrow in 1935 during the Interwar Era of inventions (1918 - 1939) and has been one of the most successful games ever invented in the modern era. Fact 2: Who invented Monopoly? 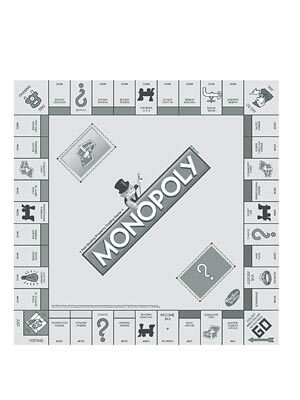 Prior to the invention of Monopoly in 1935, a similar game, called the 'Landlord's Game' was patented by Illinois born Elizabeth J. Magie, known as Lizzie Magie, in 1904 (U.S. number Patent 748,626 for a Game-Board). Fact 3: Who invented Monopoly? Lizzie Magie invented her property-purchasing game to highlight the exploitation of tenants by greedy landlords, rather than involving the concept of a monopoly meaning the exclusive control or possession of a commodity. Fact 4: Who invented Monopoly? Homemade versions of Lizzie Magie's 'Landlord's Game' circulated for some time and other games based on her idea were promoted, although not patented, by Louis and Fred Thun and Dan Layman. Fact 5: Who invented Monopoly? The homemade games were often changed by replacing the original, imaginary street names to real street names of the cities where the players lived. Lizzie Magie's 'Landlord's Game' was the inspiration for the board game Monopoly. Fact 6: Who invented Monopoly? The inventor of the game of Monopoly, Charles Darrow, was born on August 10, 1889 in Philadelphia, Pennsylvania, United States and died on August 28, 1967. Fact 7: Who invented Monopoly? Little is known about the early years of Charles Darrow but he was employed as salesman of heating and engineering equipment in Germantown, a neighborhood in Philadelphia, Pennsylvania. Fact 8: Who invented Monopoly? The stock market crash of 1929 triggered the Great Depression and by 1933. 15 million people, or 30% of the workforce in the United States were unemployed. Charles Darrow lost his job as a salesman and spent his time looking for odd jobs to help feed his wife Esther and his young son William. Fact 9: Who invented Monopoly? His wife was expecting their second child and Charles Darrow became desperate to find ways of making money. The competition to get a job was so great that Charles Darrow knew that he had to create something new, and invent something that would hopefully sell, to help him make a living. Fact 10: Who invented Monopoly? Charles Darrow, like millions of fellow unemployed Americans, played games in the evening to fill his idle hours. He had the idea of coming up with new ideas for games and started to create jigsaw puzzles - but he was unable to sell any of them.. Fact 11: Who invented Monopoly? Charles Darrow and his wife Esther remembered the game they had enjoyed playing in more prosperous times in Atlantic City, a seaside resort in New Jersey. The game was called the 'Landlord's Game', which had been customized by a woman called Ruth Hoskins to include famous street names in Atlantic City. Fact 12: Who invented Monopoly? In 1933 Esther and Charles Darrow made a handmade version of the game with some alterations and additions of his own. The board was made from a cheap piece of oilcloth (a fiber cloth, that had been treated with a coating based on linseed oil) that covered their table. He chose names of Atlantic City real estate with places and streets such as Park Place, The Boardwalk, Marven Gardens, Baltic Avenue, Pacific Avenue, North Carolina Avenue, Pennsylvania Avenue and Mediterranean Avenue and added four railroad names and utility companies to the games board. Fact 13: Who invented Monopoly? There were forty spaces on the area together with a starting point called "Go" and places on the board for a Jail, Free Parking, Go to Jail, Income Tax and Luxury Tax with Chance cards and Community Chest cards. Players started with $1000 scrip money and a bank credit of $500. Real Estate cards and their value, corresponding to the places on the board were made and players could improve their Real Estate area by adding Houses and then a hotel increasing the price of the rent value. Fact 14: Who invented Monopoly? Esther and Charles Darrow began playing the game with their friends using colored buttons for the tokens and a pair of dice. It proved to be really popular and people began asking Charles Darrow to sell them the game. Charles Darrow called the game Monopoly. Fact 15: Who invented Monopoly? Esther and Charles Darrow were able to make handmade two games of Monopoly in a day and sold them for $4 each. They sold 100 games and found they were unable to keep up with the demand. Charles Darrow arranged for printing of the Monopoly boards and the title cards to increase production but continued to paint in the colors and assemble the Monopoly sets by hand. Fact 16: Who invented Monopoly? In 1934 a department store in Philadelphia began ordering sets wholesale. The orders were so large that once again Charles Darrow could not keep up with the demand for his Monopoly game. Fact 17: Who invented Monopoly? Charles Darrow approached Parker Brothers, a major game manufacturer and distributors, to see if the company would be interested in producing and marketing the game of Monopoly. Parker Brothers thought that the game was too complicated and rejected the idea. Fact 18: Who invented Monopoly? Despite the rejection by Parker Brothers, Charles Darrow continued to sell his Monopoly game to the department store in huge numbers. He was working 14 hours everyday to keep up with the demand. Fact 19: Who invented Monopoly? Then Charles Darrow received another order from a prestigious New York toy and game store, FAO Schwarz. The Parker Brothers changed their minds and made Charles Darrow and offer to buy the Monopoly game outright and give him royalties on all Monopoly games that were sold. Fact 20: Who invented Monopoly? Charles Darrow agreed to the offer and signed a contract with Parker Brothers. On August 31, 1935 he filled for a patent for his Monopoly board game, assigned to Parker Brothers, and was granted U.S. Patent 2,026,082 on December 31, 1935. Fact 21: Who invented Monopoly? Parker Brothers also paid off Lizzie Magie, Louis and Fred Thun and Dan Layman. who had copyrights to games similar to Monopoly and become the sole owners of the game known as Monopoly. Fact 22: Who invented Monopoly? Waddingtons, a publisher of card and board games in the United Kingdom, were granted licensing rights for European versions of Monopoly. Waddingtons the original Atlantic City locations for famous places in London and the first UK Monopoly was produced in 1936. Other versions were then produced for France and Germany. Fact 23: Who invented Monopoly? The board game was eventually sold across the world and Charles Darrow became a millionaire due to the royalties he received for the sale of Monopoly games. Fact 24: Who invented Monopoly? Charles Darrow died on August 28, 1967 but will always be remembered for his game Monopoly. After his death a plaque was placed on The Boardwalk of Atlantic City in his honor. Who Invented Monopoly - Charles Darrow - Inventor - Invention - Definition - Meaning - Famous - Important - Monopoly History - Timeline - Innovation - Significant - Development - Toys and Games - First - Definition - Kids - Facts - Information - Info - Who invented Monopoly - Dates - When - Why - Impact - Purpose - Use - New - Old - Amazing - Best - Definition - Meaning - Awesome - Cool - Charles Darrow - American - History - Monopoly - Who Invented Monopoly?